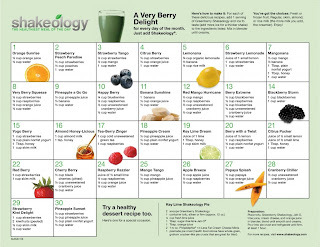 I can not say enough about how Shakeology has helped me. Did I ever mention that it is DELICIOUS too?! 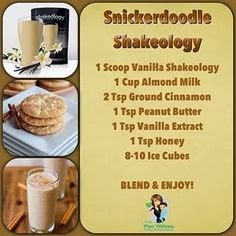 One of the many benefits of drinking Shakeology is the fact that there are tons of recipes that you can try to switch up the norm! 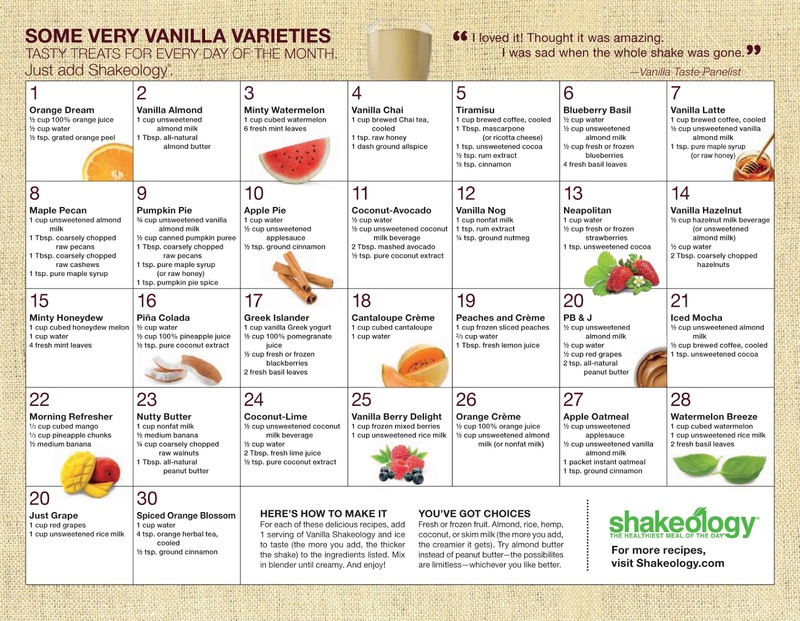 It doesn't have to be the same boring recipe every single day. 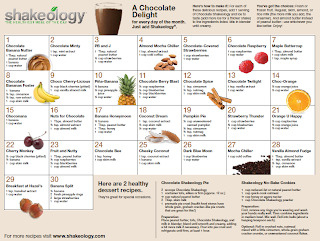 Reduced cravings is one of the major benefits that I have noticed by drinking Shakeology. There is just enough sweetness to curb that feeling of needing something else throughout the day. 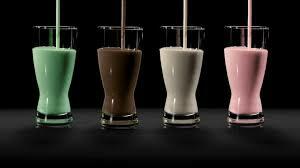 I have to admit, drinking something for breakfast that tastes like chocolate makes me feel guilty! 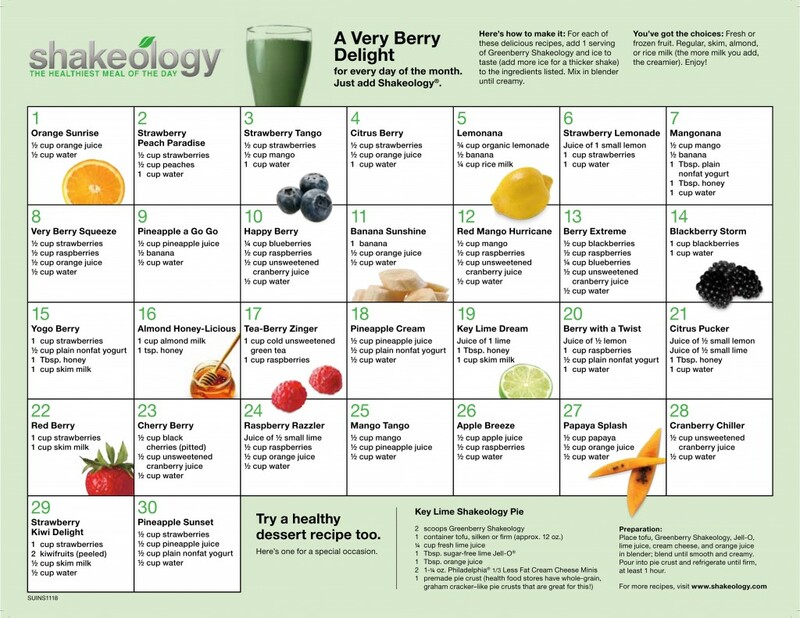 It's hard to believe that that tasty treat is actually something that is packed with 70+power foods and gives me my daily dose of nutrients that I need for the day. 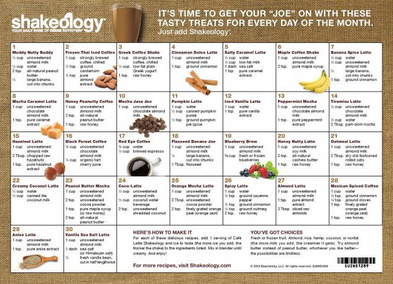 The fact that Shakeology is backed by a guarantee says everything. 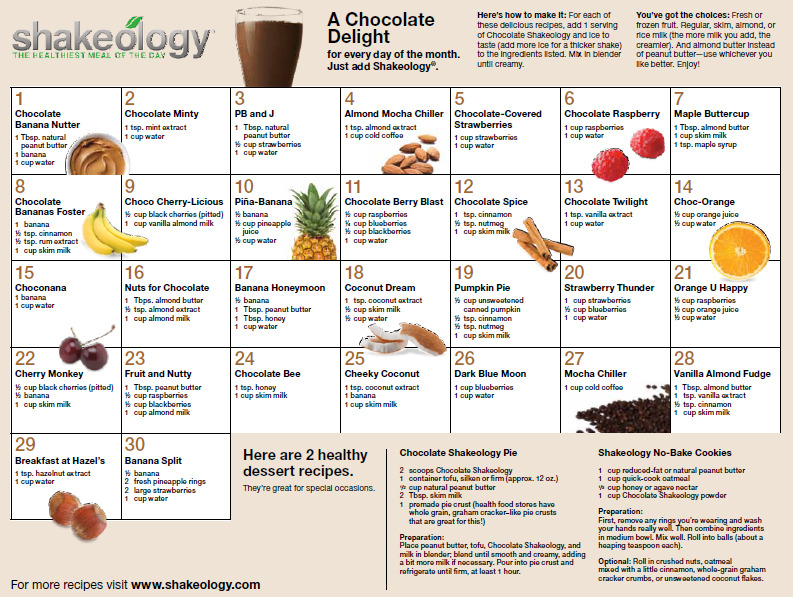 If, for whatever reason, you are not happy with your Shakeology, you can send your EMPTY bag back within the first 30 days and get a refund! No questions asked! 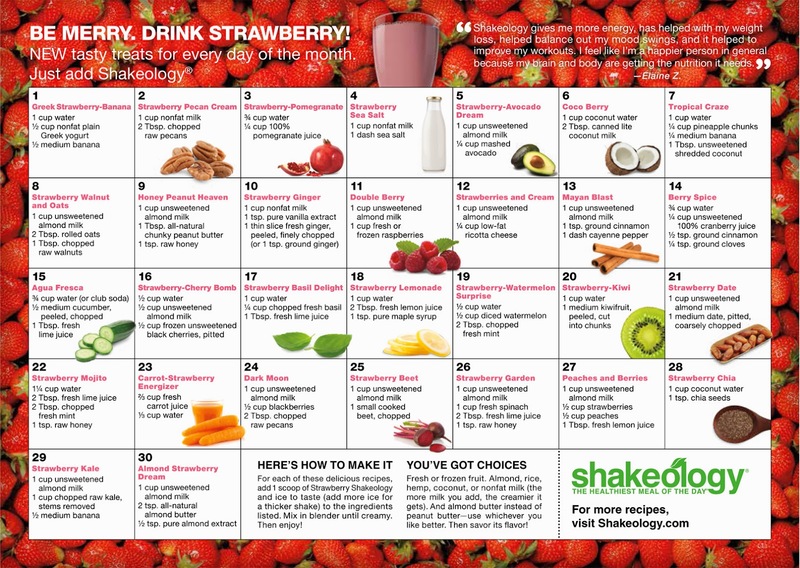 Check out some these yummy Shakeology recipes! 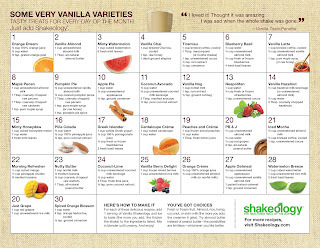 Blend / Shake and Enjoy! So what do you think? 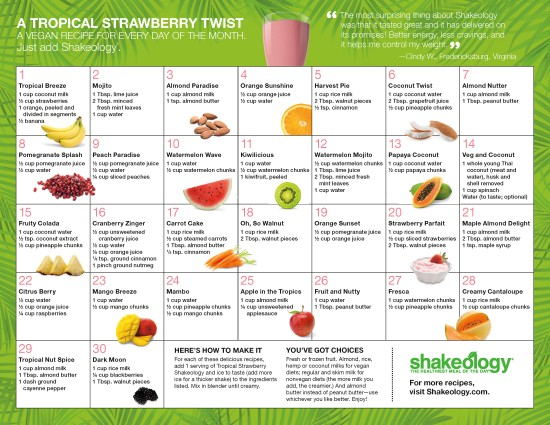 Don't some of these recipes sound delicious?! If you are afraid to make the investment, keep in mind the 30 day bottom-of-the-bag guarantee. 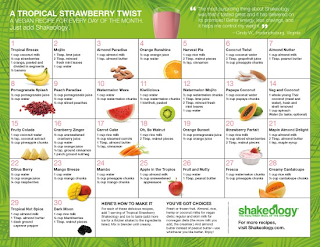 If you'd rather try it first, contact me about purchasing individual sample servings!